enjoyed during this year with no order of preference"
"2018 was the year that I listened to less electronic music than the 5 or so previous. Strange, considering how much of it there is clogging up the internet’s pores. I had to think hard to come up with some appropriate recommendations (outside of what I released on AST), but here they are. The future is in country." 400M - this label is only a month old at this moment, but already has three amazing releases under its belt. Timecop has one of the best albums of 2018. LeoKarlo the Beatmaker - Enjoy Yourself - heard a track in some video that I can't remember now, but it's all good. SsmKosk - Mix for Radio Benska - the music I'd like to make. Shaman Fight Club aka JUMPDRIVE - "Degen" and "STOMACH" - these tracks brought the three bros in the Hideout back to the dancer floor when we DJ-d there. Necessary club tools. Kamizdat - upcoming benska mix digs into slovenia and features a few tracks from this top label. home to Warrego Valles one of my most listened this year. Gabbalkanton - eastern euro no fucks given gabber. you don't have to wade through waves of clout to enjoy this stuff. + everything on Magma Tones. Return of Mille Plateaux and Force Inc.
Joe Nerssessian - Not a release but a great guy who drove us round Europe and is now living his best life in Armenia teaching children how to read and is a true beacon of human warmth and what we can all aspire too. "In such situations, it is always difficult to make a good selection. I can not ignore the fanatastic growth of labels and music in my country, so I decided to show you the releases closest to my heart. I tried to choose one artist or label each, because otherwise the list would be much longer. This is not a list of the best cassette albums of 2018. It suggests music of artists and cassette labels (and one of a microSD card) from Poland. 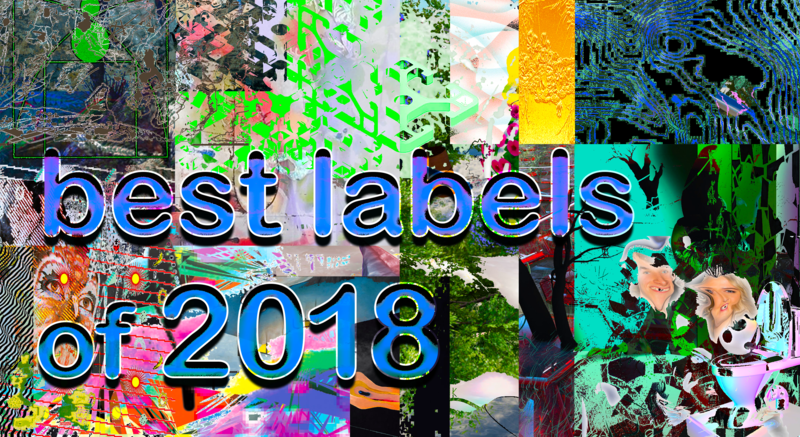 It's not a ranking, it's an invitation to take part in my joy [🙂] "
Personal list of media that has shaped my year, though not all released this year, half music half net flotsam, and not including anything I was involved in. Live-streaming games is the new DJing. This is more like a prog-rock concept album series presenting hand-illustrated tales of the authors games in “Slaves to Armok: God of Blood Chapter II: Dwarf Fortress”, such as the progress of a bee-keeping outpost. Niles gives everyone an in depth look into his life, his friends and most importantly, how he gained his disappearing abilities. I had visited your store last week, and I saw very nice Braclet i wanne buy. But I have a question, today I wanted to order it, but can not find the braclet anymore in your store.